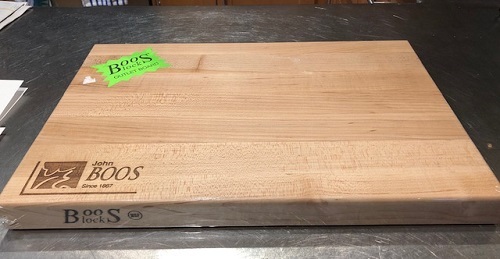 Maple butcher block cutting board. Dimensions are 18” x 12” x 1.5”. Purchased at outlet shop but no flaws, first quality.